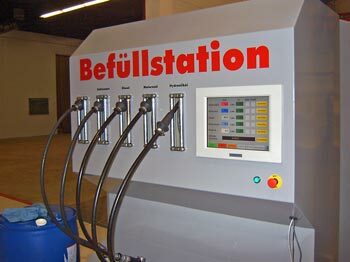 Automatic filling station in a machine factory. VBASE Automation Story. 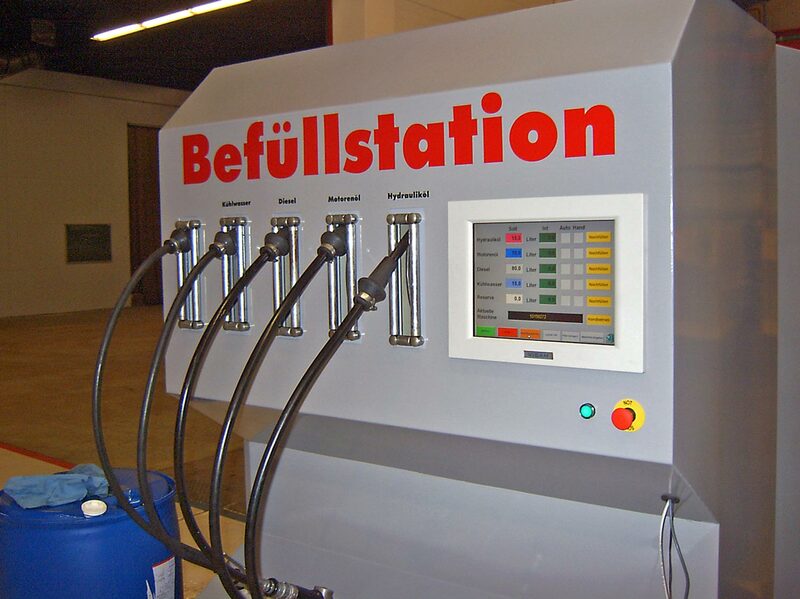 Automated filling station in the production of compaction machines. BOMAG is the world market leader in compaction technology and manufactures machines for soil, asphalt and waste compaction as well as stabilizers/recyclers. 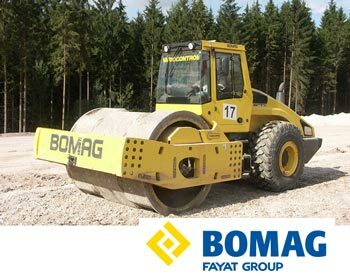 BOMAG compaction equipment is used in horticulture, landscaping, traffic route construction and heavy dam construction. BOMAG also supplies special solutions for use in landfills of all sizes and for recycling damaged blacktop and soil stabilization. Request the latest VBASE price list. At the end of the production line, the BOMAG machines produced are to be filled with the quantity of hydraulic and engine oil, fuel and cooling water intended for the model. To make work easier, the necessary filling quantities for each machine model should be stored in a database and can be called up via a barcode using a hand-held scanner. Possibilities are to be created to refill individual liquids manually. Furthermore, warning messages for the leakage oil tank and the hydraulic filter of the filling station are to be displayed on the screen. Machine slips are available which run through the production line with the article and contain a barcode with the model number of the device. The system was operated via a 15" touch panel PC. The VBASE HMI / SCADA process control system, which communicates with a WAGO Ethernet controller via a LAN connection, is used as software for designing the user interface and managing the data. The filling quantities are determined via pulse generators and fast counter input terminals in the WAGO Controller. 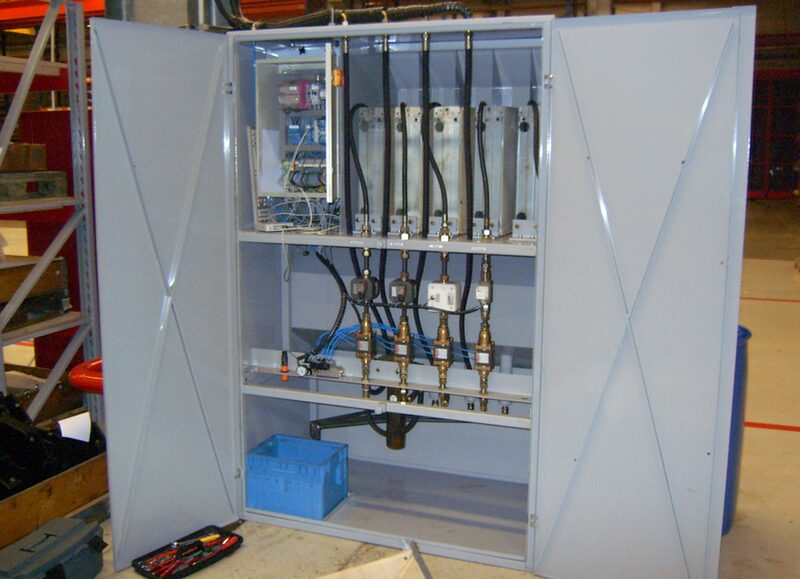 The central process screen contains information about the current machine model, all target and actual filling quantities, as well as the required operator panels and status displays. After entering a password, you can use the "Enter machine" button to switch to the image for managing machine data (recipes). The machine reaches the filling station at the end of the production line, which resembles a compact filling station. The operator responsible for filling takes the machine card from the machine, changes to the "Call machine" screen on the main screen and scans in the model number using the hand-held scanner. VBASE HMI / SCADA loads the appropriate filling quantities for the detected model, transfers the model data to the WAGO Controller, then switches back to the main screen and now offers the option of starting the filling process via the "Fill" button. 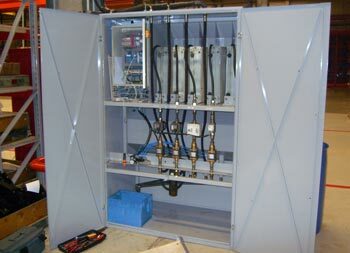 When the button is pressed, the valves of the liquids are activated and remain open until the set quantity is reached. The auto fill mode is signalled individually for each liquid via an indicator light on the screen. After completion of the filling process, the system is ready to fill a new machine. To avoid operating errors, filling can only be done once after each scan process. The machine card must be rescanned for refilling. The actual quantity currently tapped is clearly displayed at all times. After reaching the specified target quantity, all media can be refilled manually using the refill button. This is possible even if other media are automatically filled from within the program. 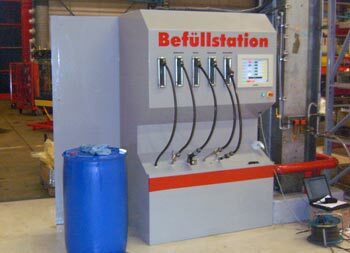 The automatic tapping process and manual refilling can be interrupted at any time by pressing the pause/stop button, whereby the set and actual filling quantities are maintained (filling pause). Pressing the Fill key cancels the pause and the filling process continues. If the system is in pause mode, pressing the stop button again completely interrupts the current filling (including refilling) and resets all counters (STOP). Network connection of the plant to the work preparation for easy maintenance and control of the machine data sets.